But scientists are having a hard time illustrating these problems as shifting baselines continue to redefine what is considered normal for reef health. 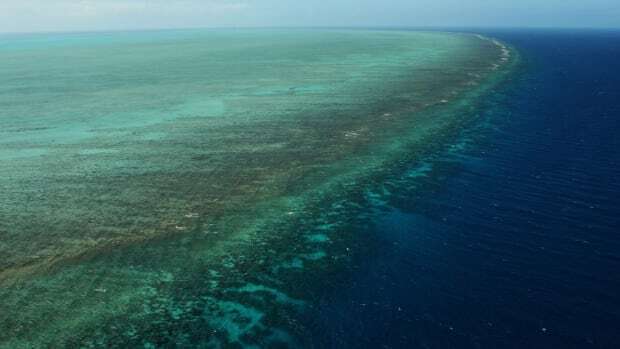 A damaged section of the Great Barrier Reef off Australia&apos;s northeastern coast. Before climate change triggered increasingly frequent and deadly coral bleaching events, cyclones posed one of the biggest threats to the health of the Great Barrier Reef. Scientists estimated that, prior to 2016, destruction from tropical hurricanes was responsible for between a third and nearly half the loss of coral cover on the world&apos;s largest reef system over the previous 30 years, according to a new study published in the journal Scientific Reports. Coral bleaching, on the other hand, had contributed only between 5 percent and 10 percent of coral loss. That all changed two years ago when the first of two unprecedented back-to-back bleaching events struck the 1,400-mile-long Great Barrier Reef, ultimately killing half its corals (and devastating other tropical reefs worldwide). 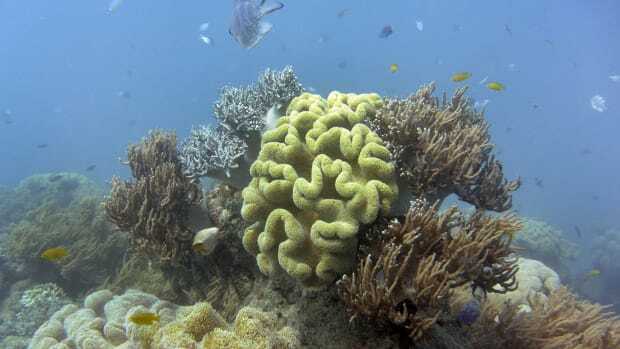 The new study analyzes how corals have recovered from a combination of cyclones and bleaching events over the past 19 years in the Palm Islands Group, a collection of fringing reefs in the central section of the Great Barrier Reef. 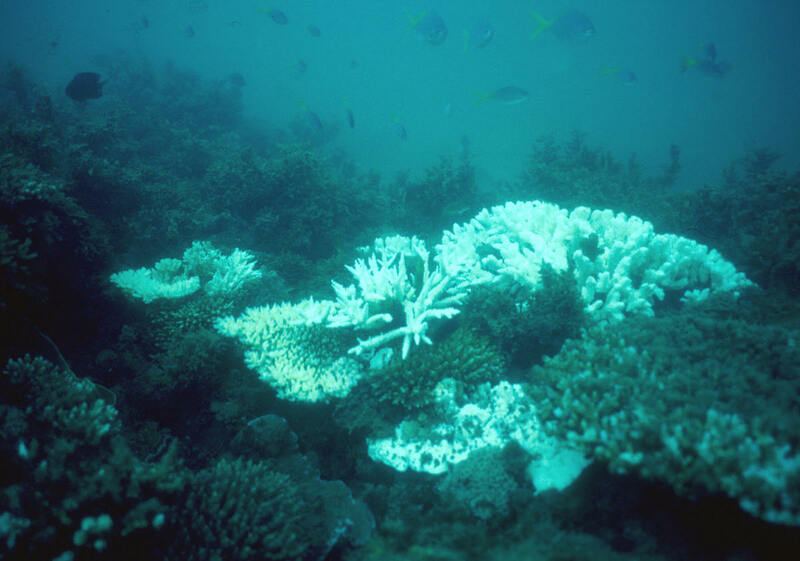 "With interludes between bleaching and cyclones predicted to decrease, the probability of another severe disturbance event before coral cover and assemblage composition approximates historical levels suggests that reefs will continue to erode," wrote scientists with the Australian Research Council Centre of Excellence for Coral Reef Studies at James Cook University in Townsville, Queensland. The findings underscore the importance of such long-term "longitudinal" studies, given "shifting baselines" on what constitutes a healthy coral reef and the subsequent risk of "baseline bias" among scientists and the public. For instance, the Palm Islands Group study used 1998 as a baseline to calculate the decline in coral cover over the subsequent 19 years. But as the authors noted, the reefs likely had already suffered an unknown amount of degradation before 1998. "Shifting baselines is a serious issue," Gergely Torda, one of the study&apos;s lead authors and a senior research fellow at the ARC Centre of Excellence for Coral Reef Studies, said in an email from the field in French Polynesia. "From a scientific point of view, the problem is that we have probably missed the opportunity to understand how pristine coral reefs function. We know that coral reefs persisted, in fact thrived, for tens of millions of years. But whether modern reefs—that are degraded to various degrees and have probably lost a lot of their biological and functional diversity and redundancy—can survive in the coming decades of dramatic climate change remains elusive." That presents significant challenges for policymakers and natural resource managers, Torda noted, as conservation goals may also succumb to baseline bias. "Tourists coming to visit the degraded parts of the [Great Barrier Reef] still say that it&apos;s beautiful, and they don&apos;t understand what researchers are talking about," he added. "It is because they haven&apos;t seen it when it was alive and functional. Shifting baselines can ease us into a comfortable &apos;business as usual is good enough&apos; mindset, without noticing how we are heading toward a global-scale ecological collapse." Coral reefs have weathered ecological upheaval for countless millennia, suffering widespread destruction and eventually bouncing back. But the new study details how the one-two punch of bleaching and cyclones can sap coral resilience and result in the restructuring of reef ecosystems. 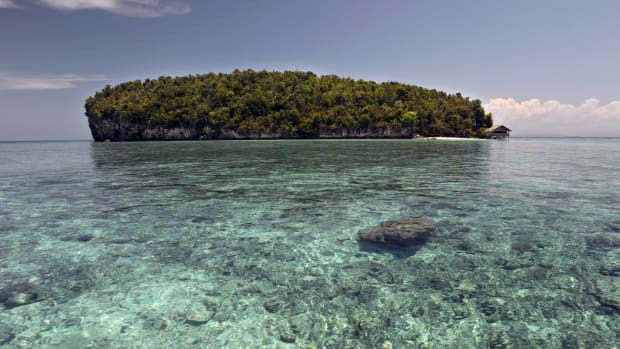 Coral cover at the study sites recovered to 27.8 percent in the decade following the 1998 bleaching event, only to be obliterated by Cyclone Yasi in 2011, when it plunged to 4.1 percent, according to the study. Over the next three years, coral cover continued to fall, hitting 1.6 percent in 2014. But in a sign of a reef&apos;s resilience under the right conditions, coral cover had grown to 27 percent by 2017. The consequence of the 2017 bleaching event is the subject of a paper currently under review. Torda could not discuss the details of the findings but said, "Anecdotally, I can tell you that on our study sites for the recent paper, the 2017 bleaching was not as bad as in other parts of the central [Great Barrier Reef] and did not result in mass (multispecies) mortality." "In general the reefs of the Palm Islands got away with minor damage," he added. Still, the reef ecosystem that was present in 1998 is gone, perhaps forever, as some species of coral dramatically declined and were supplanted by others. For instance, complex branching corals that provide habitat for a variety of marine life were virtually wiped out and slow to recover while massive corals proved more resilient and became a dominant species at the study sites. 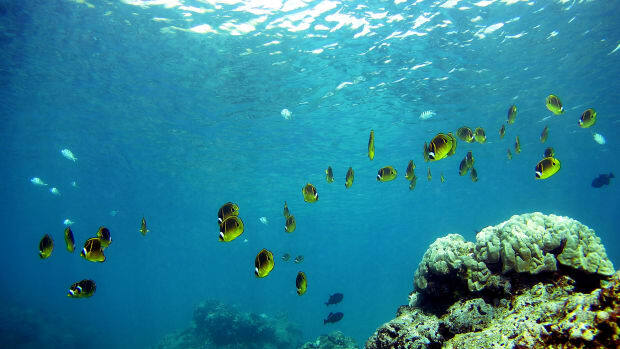 Torda said that any long-term changes in the reef fish communities that depend on those habitats remain unknown, as the research has focused on coral composition. However, research conducted by Torda&apos;s colleagues on another section of the Great Barrier Reef found a loss of fish diversity in the wake of the 2016 bleaching event. 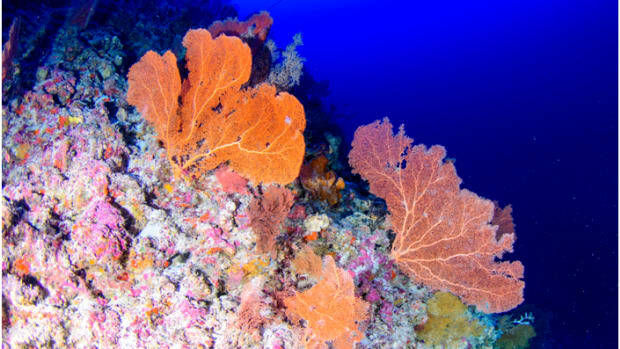 The researchers observed that, overall, coral species continued to decline years into the recovery period. "The disruption of the intricate ecological feedback loops that exist among corals, their competitor algae, their predators, and myriads of species of reef fish can cause further mortality in the aftermath of the disturbance, and retard recovery," the scientists wrote. "Importantly, the loss of large colonies of slow-growing species can leave a footprint on the assemblage composition for many decades, if not for centuries." "The increase in frequency and severity of acute disturbances due to weather extremes associated with global climate change suggests that the exposed fringing reefs of Orpheus and Pelorus Islands, along with many other coral reefs in the world, may never recover to pre-disturbance conditions, and will continue to erode," they concluded. Australian scientists now report that coral cover on the Great Barrier Reef has fallen sharply in all three sections of the reef for the first time in 35 years of continuous monitoring. An innovative monitoring system would allow researchers, policymakers, and environmentalists to track reef damaging events across the globe in near-real time. The technique involves planting fragments of nursery-raised coral on reefs in the wild to replenish depleted colonies. According to a recent study, losing just the top three feet of coral reef could result in $4 billion a year in flood-related damages. New research shows the extent to which our dependence on plastic is infecting, damaging, and killing coral reefs from Thailand to Australia.